Many people who have been infected with HIV display no signs and symptoms of the infection. The only way to confirm an HIV infection is by doing an HIV test. HIV testing can be done in Sexual health clinics (Genito Urinary Medicine Clinics), contraception and young people’s clinics, or antenatal clinics for pregnant women. 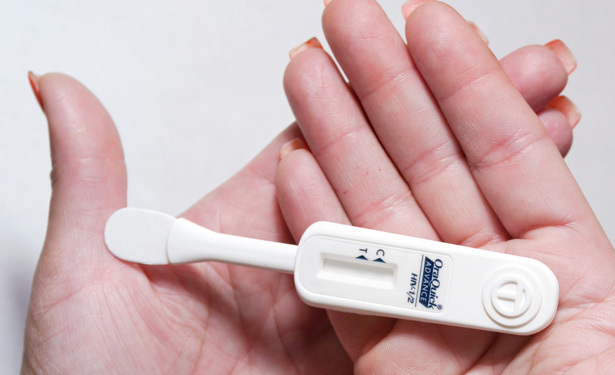 An HIV test requires the collection of a blood sample from the individual under test. Though the HIV test can be done using a saliva or urine sample, a standard blood test is a must for confirmation of the infection. HIV test results must be confirmed with a follow up test to avoid the chances of false positives as well as false negatives. Once an individual gets exposed to an HIV infection, he may take a few weeks to a few months to develop antibodies. This period is called the window period. During this period, an HIV test shows negative results for antibodies even when the patient has an HIV infection. It is important to remember that patient can transmit the virus to others at this stage. ELISA is a test that detects the presence of antibodies, which are developed by the immune system to fight against HIV, in the blood (serum). ELISA is a highly sensitive test i.e. it detects the antibodies even if they are very few in number. But there are chances that the test might a give false positive result. This makes it necessary that a positive ELISA test be confirmed by another HIV test like the Western Blot or Indirect Immunofluorescence Assay. During the window period of the infection, the test gives negative results. For this reason, in case of a negative result the first time, the ELISA test should be repeated after 1- 3 months before ruling out the infection. Western blot is an HIV test similar to ELISA. It detects antibodies in the serum sample. 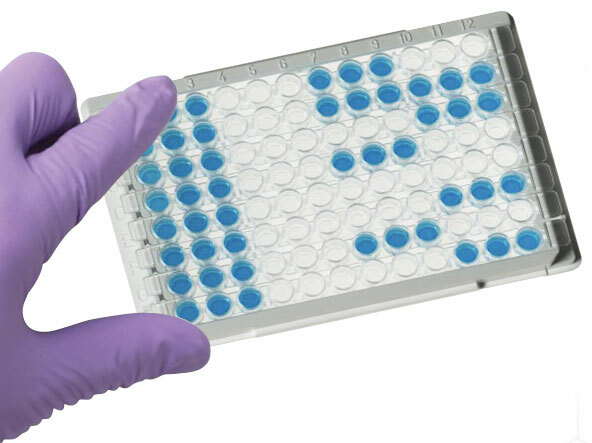 It is used to double check the results of a positive ELISA test. In this HIV test, HIV proteins are separated and immobilized. If the patient’s serum has anti-HIV antibodies, they bind to the immobilized antigen. This indicates a positive test result that can be visualized in an electrified slab of gel. PCR detects the genetic material of HIV. A PCR test gives a positive result sooner than an antibody test, usually within two to three weeks of infection. It is expensive but more specific or definitive. Reverse Transcription Polymerase Chain Reaction (RT-PCR), branched DNA (bDNA), and Nucleic Acid Sequence-Based Amplification assay (NASBA) are some of the PCR tests that measure HIV viral load in the blood. The basic principle here is to detect HIV using DNA sequences that bind specifically to those in the virus. This test is also used to monitor treatment. The viral load test should be done two to four weeks after starting treatment, then every four to eight weeks. If the treatment is effective, the viral load should decrease to undetectable levels in the blood. This test is highly reliable during the early stages of exposure to HIV, around the time the antibody tests appear negative. This test is used for diagnosis as well as monitoring treatment. An antigen of HIV named P 24 is detected by ELISA Techniques, using monoclonal antibodies (synthesized antibodies) that bind specifically to P 24. The antigen detection test is not generally used for diagnosis as it is not very sensitive and is effective only before the patient starts developing anti-p24 antibodies. Rapid tests detect antibodies in the blood or saliva much faster than other tests, often within 20 minutes or so. They work on the same principle as other antibody tests. It is important to remember that the results of rapid tests have to be confirmed with a different follow up test. The U.S. Food and Drug Administration has approved a home test called the Home Access Express Test (the Home Access HIV-1 Test System). This test requires you to prick your finger with a special needle, put a few drops of blood on a collection card, and mail the card to a laboratory. In about a week, you can get the results of the test by calling a toll-free number specified by the USFDA. This test is used to measure the count of CD4 cells in the blood. HIV destroys CD4 cells during the course of the infection. When the cell count falls below 200, HIV progresses to AIDS. CD4 count ranges from 500 to 1000 cells per cubic millimetre of blood, in a normal healthy individual. If the CD4 cell count is below this range, it could indicate an HIV infection. This blood test is used to determine whether the HIV strain is resistant to the anti-HIV medications that are prescribed. It also helps the physician decide which medication may be more effective for treatment. When HIV has progressed to AIDS, the doctor might recommend certain tests to check for other infections or complications, including tuberculosis, hepatitis, sexually transmitted diseases, toxoplasmosis, urinary tract infections, and liver or kidney damage. The home HIV test has been approved by the US Food and Drug Administration. In addition to the tests listed above, here are some of the other tests that are used to monitor the health of the patient. Complete Blood Count Test – It is performed to measure the count of white and red blood cells, hemoglobin, and platelets and to check for anemia and other blood-related conditions. Blood Chemistry Tests – They are used to measure the levels of sodium, potassium, creatinine, blood urea nitrogen, and albumin in the blood. Urine Tests – These are done to check for abnormal kidney function and for infections. Diagnosing an HIV infection at its early stages is very important to start medication. This can delay the progression of HIV to AIDS (Acquired Immune Deficiency Syndrome). For this reason, an HIV test must be done at the earliest when an HIV infection is suspected. This entry was posted in AIDS and tagged hiv test results, home hiv test by Dhanya V C. Bookmark the permalink.